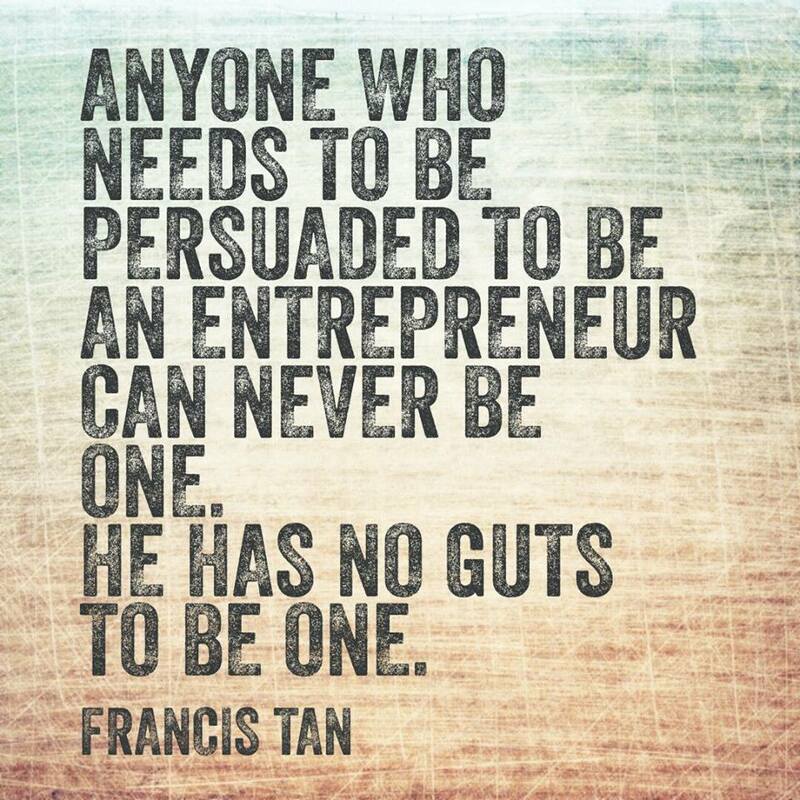 To be a successful entrepreneur, one of the key ingredients you need is guts; a risk taker. You need to get out of a comfort zone..studies have shown that 75% of employees do not want to have any kind of entrepreneurial ventures. Almost all highly paid management will never take the plunge. Therefore, only 25% will even consider to try, and some may it big. But what if, the risk is low, and if there are no overheads to consider, and with proper training and guidance, will you then even consider to be an entrepreneur? Then the question will be,”What will motivate you to be one?”. If your answer is financial freedom, then you need to break whatever mental models you have had all these years, to revamp your thinking to entrepreneurship. You, most of all need guts,or the gumption, to hang in there even if you don’t see results at first for a long time. That is what that separates you from mediocrity.